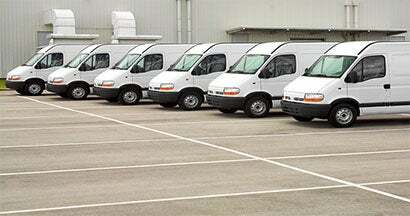 So, it’s time to get some legit coverage for your business's vehicles. Rock on. A quick heads-up, though: finding, comparing and making sense of insurance quotes by yourself can be tricky. The process can be long and complicated. Our independent insurance agents are always ready to help make the process much simpler. They'll ask you all the right questions, then shop and compare policies from top carriers to find the right coverage at the best possible price. They'll even break down all the fancy insurance jargon in a way that's easy to understand. Now, before we get too far ahead of ourselves, we want to give you a little background on commercial auto insurance quotes and the process as a whole. NOTE: Quotes are subject to change—the insurance company may gradually increase your premium over time to keep up with the financial demands of offering the coverage. 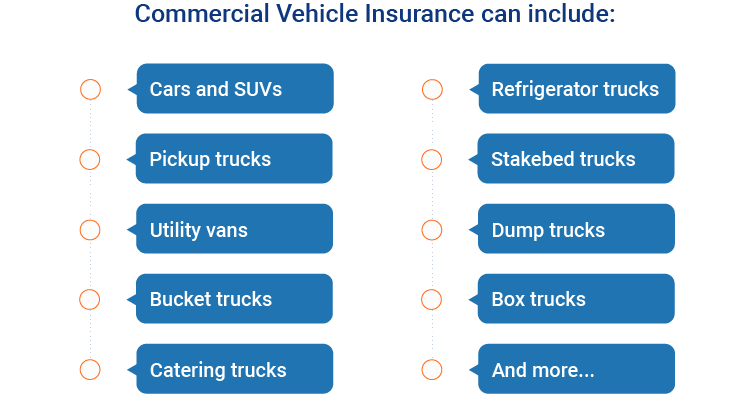 The what: Commercial auto insurance is a contract between an insurance company and a business where the insurer agrees to protect the business financially should its vehicles get stolen, or involved in an accident. The why: First off, many states have minimum commercial auto insurance requirements. A Trusted Choice independent agent can tell you all about your own state’s requirements. Beyond that, having proper commercial auto coverage in place if something bad happens will protect your business’s assets. Awaiting repairs/replacement of any damaged/lost vehicles can be a long process if you don’t have an insurance company helping you through it. Comparing quotes by yourself can be pretty complicated. You've gotta keep things like an insurer’s claims process, customer service and reputation in mind when choosing which is right for you. Here's where an agent comes in to save the day for you—they'll know everything that's important to consider when comparing quotes, and companies. An independent agent is like a wish come true and can make your life a lot easier—at least through this process. They're not tied down to one insurance company, so they're free to shop around, compare and assemble all the pieces of the coverage puzzle for you—even if they end up coming from multiple carriers. Your agent really is there for you. They are genetically enhanced to listen to your concerns, process them and find the right solution for you. So the better you are at communicating your needs and concerns, the better the outcome will be. Here is where you'll tell them everything. All the nitty gritty details you might rather gloss over, because inevitably they, or the carrier, will eventually find out. And purposefully omitting risks to get yourself a lower premium will come back to bite you in the bumper. If they do ask, you tell. Honesty is best for your policy. Open and truthful communication will lead to a premium/risk match in terms of your policy's price (and no biting of any kind). If they don't ask, you tell. Don't ignore anything you think is relevant just because it didn't come up. The longer your Q&A/confessional segment is with your agent, the better your commercial auto insurance quote will ultimately be. We know what you want—quick n’ easy commercial auto insurance quotes in under a minute. We get it, you want the goods, ASAP. However, choosing supersonic speed could mean sacrificing accuracy...which could end up costing you. Look, we all love quick quotes—but online companies might leave out options that'll save your business some serious expenses, while conveniently leaving in higher risk factors that end in a much pricier policy. Plus, our competitors might sell your business’s precious info to multiple companies, which could lead to a bunch of unrecognized phone calls and a flooded inbox. We flipped the script by giving YOU the info and options to connect with an independent insurance agent when the time is juuuuuuust right for you.